Childhood obesity has become the top health concern among U.S. parents (AHA). The lack of activity and exercise is “troubling and calls for some parental intervention,” the AAP says. The CDC says the lack of safe, appealing places for kids to play is a big problem nationwide. The challenge is made worse in the winter months when much of the country suffers rain, snow, sleet and cold temperatures. One response by communities, cities and schools alike has been to install synthetic grass like NewGrass®. It helps children be active year-round, regardless of the weather. Remember, a play area covered with NewGrass® is usable even after a snowfall. Why? Because it’s installed in a way that lets water simply drain through. 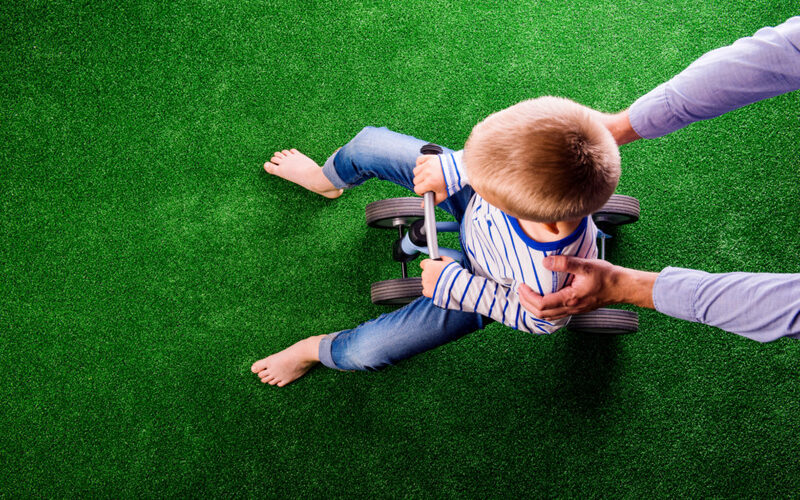 This is how synthetic grass encourages exercise among children. Sand and wood chips as play area ground cover may create cushioned surfaces. Yet, they’re unusable after a snowfall or heavy rain. Turf grass meanwhile dies in the winter, leaving play areas hard at best, and muddy or frozen at worst. “We’ve seen parks and playgrounds that have NewGrass® installed provide safe and accessible surfaces for kids to play on day after day, all year round,” says NewGrass president. “We are proud to play at least a small part in increasing the level of physical activity among our youth.” the bottom line? Artificial grass encourages exercise among kids. Seems like synthetic grass is full of surprises. So if you are looking for something to encourage movement, contact us. We have so many options for you!